My daughter Krista was telling me about an amazing oatmeal that she had bought. It was the instant kind that you buy in the box and make it in the microwave. She proceeded to tell me about the banana bread oatmeal and how it was one of her favorite oatmeal that she has eaten. That got me thinking, if an instant oatmeal could taste that good, how much better could an oatmeal from scratch be? I knew that I had to find a recipe that was baked or made in the crock pot for this one. And since I am a big fan of banana bread; this too was a contributing factor for my motivation of making this. I actually have made this a couple of times now. The first time I made it was for Krista, I talked her into giving me a sample of it. After my sampling I decide that it could use a little bit more sweetness and another dash of cinnamon. So the second time around I made the changes and just by adding a touch more of the cinnamon and brown sugar it was more flavorful. 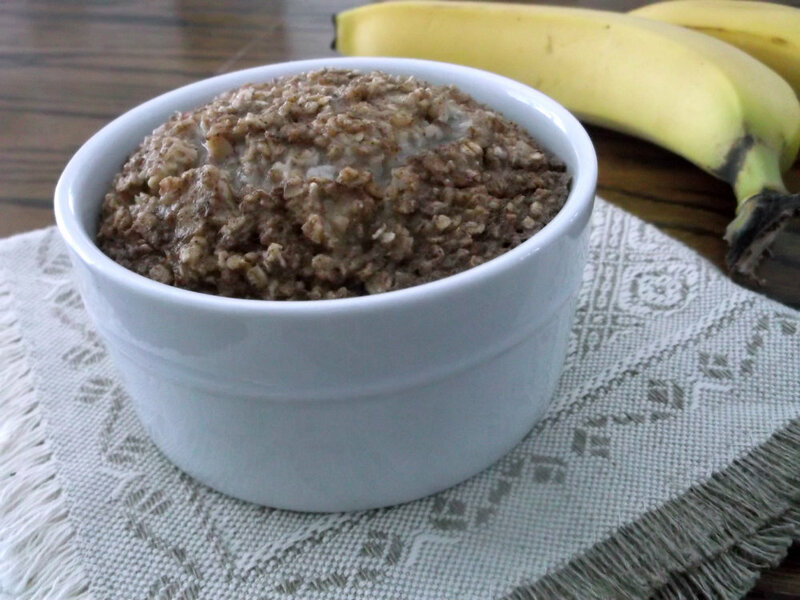 If you love banana bread and oatmeal like I do you will fall for this one. 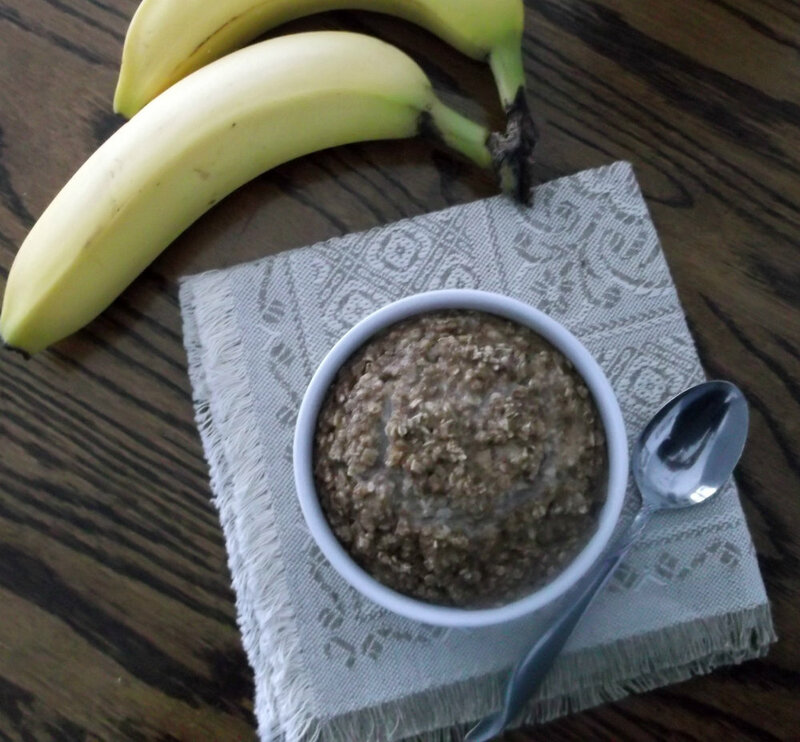 The banana, cinnamon, and brown sugar makes this and oatmeal a breakfast that you definitely will enjoy. Looking on the web I see that there are endless ways of making oatmeal baked or in the crock pot. So this will probably not be my last post on my new found love of oatmeal. 1. Preheat oven to 350 degrees. Lightly butter a ramekin. 2. In a small mixing bowl, whisk together oats, sugar, cinnamon, baking powder, and salt. 3. In a medium bowl, whisk together the milk, mashed banana, egg white, and vanilla extract. 4. Pour the dry ingredients into wet and stir until combined. Pour the mixture into the prepared bowl. 5. Bake for 20 minutes or until the oatmeal is puffed and set. 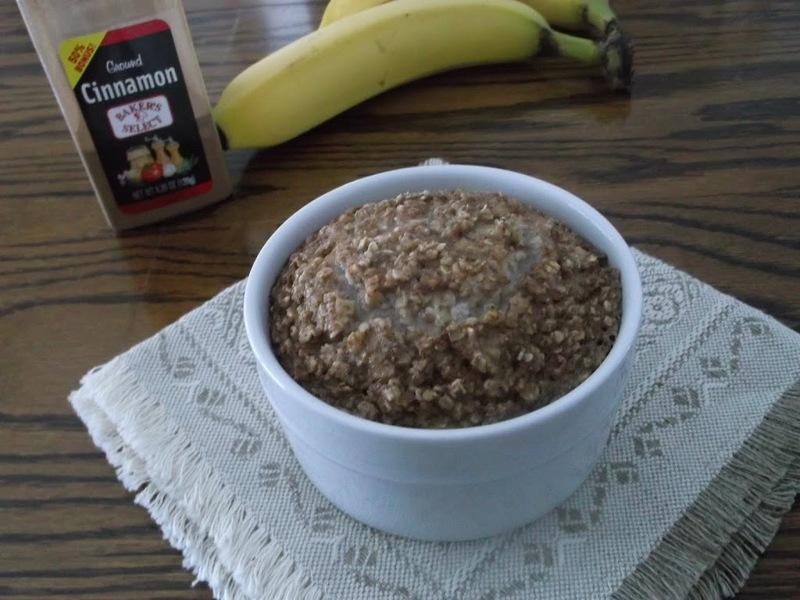 Looks interesting this banana bread with oatmeal…indeed very healthy. That is one tasty looking breakfast! I am a banana bread kind of girl and this oatmeal will be perfect for me. Fun recipe! I used to eat oatmeal all the time for breakfast, but for some reason stopped – I eat fruit instead. But this has fruit in it! So I should definitely give it a try – thanks.